Marcia Herman joined Don Wilson Builders in 2007 as a Commercial Property Manager. She brought with her years of experience in the Commercial Real Estate Industry working with companies such as LBA Realty, Birtcher Real Estate, Trammel Crow and Coldwell Banker. 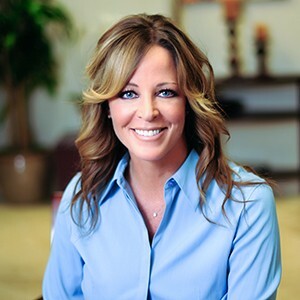 After receiving her Real Estate License from the State of California in 2005, Marcia also worked as a residential agent representing both buyers and sellers for Century 21. Marcia has been fortunate to work on all types of property portfolios, including Retail, Industrial, and Class A buildings, as well as working on the mortgage side of real estate. Marcia is responsible for the day to day management of the Orange County Commercial Properties for Don Wilson Builders in both Irvine and Rancho Santa Margarita. Her responsibilities include tenant relations, preparation of new lease documents and renewals, budgeting and accounting, working with maintenance staff and outside contractors to complete tenant improvements, coordination of annual tenant appreciation events, and maintaining vendor relations, contracts and schedules for services to the properties. Marcia is a member of BOMA Orange County, and is pursuing a dual designation as an RPA and FMA. She also remains involved with NAIOP and IREM, volunteering for annual networking events.